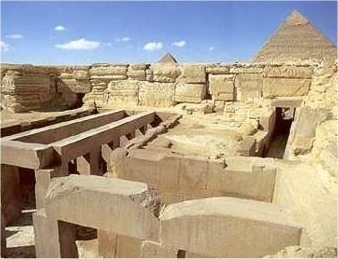 The Valley Temple was the home to Pharaoh Khafre, built in the mid- to late twenty-sixth century BC. It was buried under until the 19th century AD, which made it the best preserved structure from the Fourth Dynasty.Khafre’s Temple is by standards,very original and of simpler design in comparison to the later Temples of the Fifth and Sixth Dynasties which are more richly decorated. 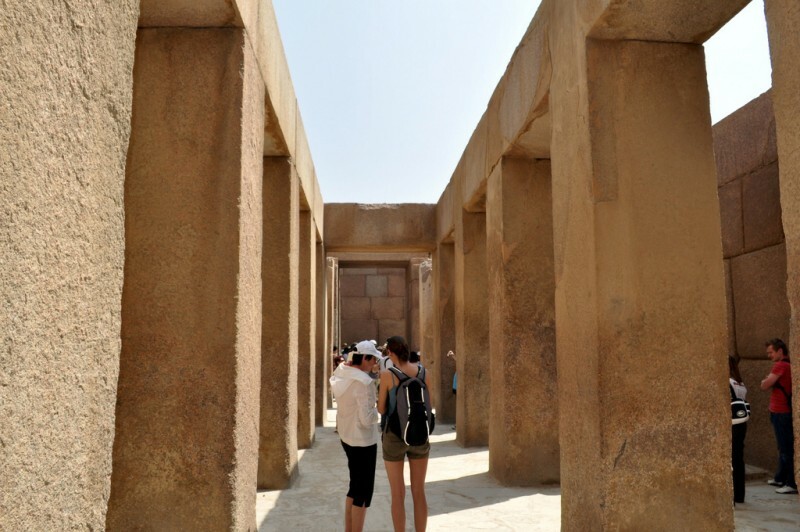 Situated about 30 minutes from Downtown Cairo, the Valley Temple is the most visited site along with the 3 Pyramids. Part of a funerary complex including a mortuary Temple adjoining the Pyramid on the east side and a covered causeway leading to the valley Temple. The purpose of these valley Temples has been the sujject of debate as they could have been used for the mummification process or what was known as the ‘opening of the mouth’, a ceremony, when the ‘ka’ entered the deceased person's body. The Valley Temple lay buried under the sand until its discovery by French egyptologist Auguste Mariette in 1852, which accounts for its reasonable state of preservation. 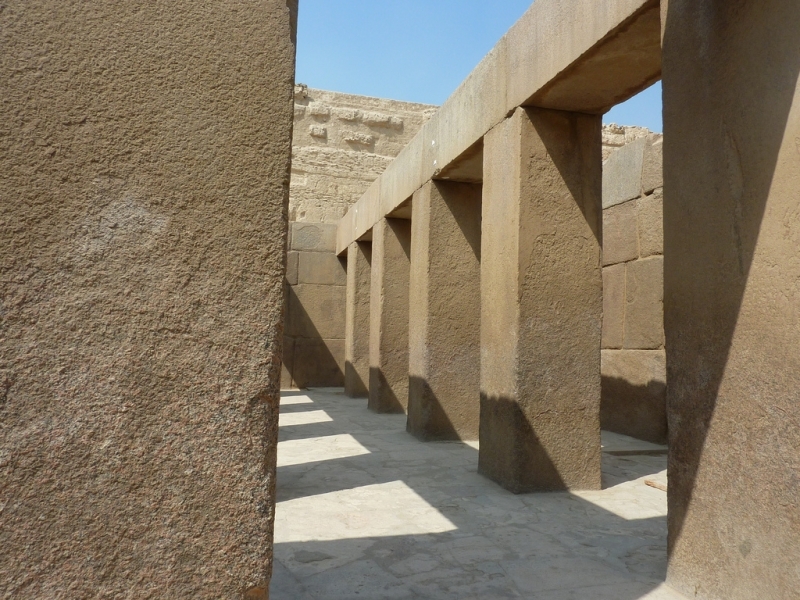 Built of limestone and faced with polished Aswan granite, the temple faces east and used to open onto a quay. Beyond a narrow antechamber you will find a T-shaped hall whose gigantic architraves are supported by square pillars, in front of which stood diorite statues of Chephren.